Domain Mondo's weekly internet domain news review (NR 2017-10-15) with analysis and opinion: Features • 1) ICANN Pays Senior VP Sally Costerton Secret Contract $$$, 2) Other ICANN news, 3) Names, Domains & Trademarks: Universal Acceptance & IDNs, 4) ICYMI Internet Domain News, 5) Most Read Posts. Should ICANN be run like a "chummy private club" or a nonprofit public benefit corporation with international scope and responsibilities, including duties to be accountable and transparent to the global internet community, meeting at least the baseline minimums required of all nonprofits jurisdictionally situated in California (US), and preferably far more than those minimums, since "Public-benefit nonprofit corporations are ... organized for the general public benefit, rather than for the interest of its members." In pursuit of answers to those questions and more, as most readers know, I first questioned on May 28, 2017, ICANN's Form 990 filing (FY16 ending June 30, 2016) published by ICANN on May 15, 2017, for review by the global internet community as required by the U.S. Department of Treasury's IRS (ICANN has IRC 501(c)(3) tax status). My May 28th inquiry generated a partial answer from ICANN on July 13, 2017, disclosing a total of $114,203.24 paid in FY16 to ICANN Chairman Steve Crocker's personal corporation, Shinkuro, Inc., not disclosed on ICANN's filed FY16 Form 990. "... completely missing from ICANN’s [Form 990] list of 39 “Officers, Directors, Trustees, Key Employees, and Highest Compensated Employees,” is Sally Costerton, Sr. Advisor To President & Senior Vice President, Global Stakeholder Engagement, who is also an “Executive Team Member” according to ICANN’s organization management chart (pdf) and has been employed as a “Vice President” of ICANN since 2012 according to her profile at icannwiki.org." "... Part VII, Section A. Officers, Directors, Trustees, Key Employees, and Highest Compensated Employees” as reported by ICANN in the 2015 form 990, fully complies with the IRS requirements. 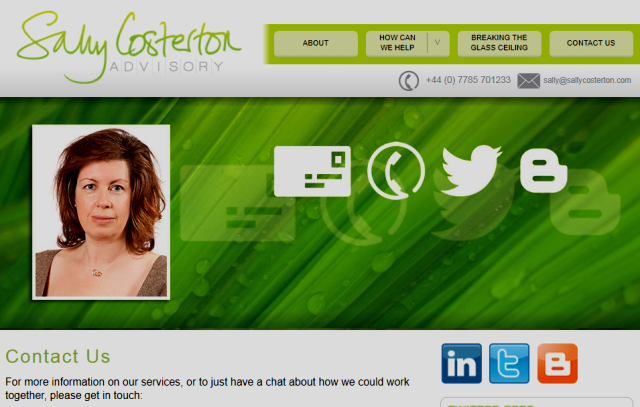 For example, Sally Costerton is contracted via her company Sally Costerton Advisory Limited. Accordingly, under IRS instructions for the form 990, the compensation paid to Ms. Costerton’s company for her services is appropriately not included in the Part VII ..."
"... such an arrangement with ICANN, which raises all kinds of questions about conflicts of interest, appearances of impropriety, organizational loyalty, etc., since Costerton has, apparently, since 2012, with the blessing of ICANN’s Board of Directors and top management, been simultaneously serving as ICANN Senior Vice President while also actively soliciting and servicing unknown clients and customers of her corporation “Sally Costerton Advisory Limited” ... your recent revelation indicates how much ICANN is still run like a “chummy private club” instead of a non-profit public benefit corporation with international scope and responsibilities ..."
I heard back (via email) from ICANN CFO Xavier Calvez on October 13: "I am acknowledging receipt of the below email and its attachment. We will address as per our established Correspondence process." a. ICANN Board Report September 2017 (pdf) - Covering 30 May 2017 – 28 August 2017. "As of the end of July 2017, ICANN org has 397 people, which is 24 people less than the FY18 year-end budget projection of 421. Over the last three months, 15 joined and another 9 left." b. ICANN GNSO Policy Briefing (pdf) for ICANN60 meeting in Abu Dhabi, 28 Oct - 3 Nov 2017.
d. ICANN Webinar on Review Operating Standards | ICANN.org: Webinar Details and How to Attend Date: 19 October 2017 Time: 21:00 UTC To participate, RSVP to: mssi-secretariat @ icann.org to receive the dial-in information. More info at link above. e. Request 17-4: DotMusic Limited and dotgay LLC | BAMC Recommendation on Reconsideration Request | ICANN.org: ".... The BAMC has considered the merits of Request 17-4, and, based on the foregoing, concludes that ICANN organization did not violate ICANN’s Mission, Commitments and Core Values or established ICANN policy(ies) in the Response to Joint DIDP Request. Accordingly, the BAMC recommends that the Board deny Request 17-4 ..."
f. New gTLD Subsequent Procedures PDP - October 2017 Newsletter | gnso.icann.org (pdf): ".... The co-chairs are forming a fifth Work Track in the PDP devoted solely to the issue of geographic names at the top level. Work Track 5 will have a shared leadership model between the GAC, ALAC, ccNSO, and GNSO. The co-chairs have asked the GAC, ALAC, ccNSO, and GNSO to each identify a co-leader for this effort. To date, the following people have been nominated: Annabeth Lange (ccNSO), Christopher Wilkinson (ALAC), and Martin Sutton (GNSO). The GAC has not yet released the name of its appointee. The Working Group is hoping to issue a formal call for volunteers prior to ICANN60 ...."
Digital Trade Agreements Failing to Reflect Internet Community Input: UNCTAD | Electronic Frontier Foundation | eff.org: "... the need for aligning trade processes with multi-stakeholder values such as transparency, openness, and inclusive peer-to-peer participation by any interested party on an equal-footing ..."